It being Spring, I thought it would be a good time to bring up the topic of weeds that are poisonous to horses and some cattle, in the interest of getting the owners of grazers to remove these weeds from their hay fields. Some weeds found in hay are actually beneficial. Horses may not go out of their way to eat them or the poisonous ones - they're not particularly yummy - but horses may not be able to avoid eating them when grazing. The three most dangerous weeds to watch for are hoary alyssum, wild parsnip, and poison hemlock. Hoary alyssum: image via mtweed.org This flowering weed, a member of the mustard family, tends to grow in hay fields after a drought. 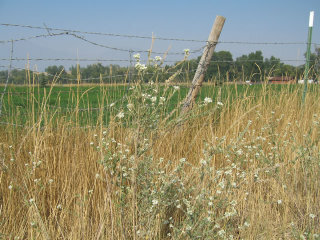 Light green to gray with white flowers, the hoary alyssum seeds are plentiful and easily seen in baled hay. Signs of toxicity include swelling of the limbs, founder, and even death. Ingestion of hoary alyssum requires immediate veterinary attention if any signs of toxicity are noticed. More information and images of hoary alyssum are available at mtweed.org. Wild parsnip: image via extension.umn.edu Commonly found in ditches, wild parsnip is a toxic member of the carrot family and contains furanocoumarins. It is attracted to damp areas like ditches. The weed is fairly easy to recognize by its saw-toothed leaves and umbrella shaped yellow flowers, and it can grow several feet high. All parts of this weed are poisonous, even to humans. Toxic reactions include skin irritations and photosensitivity, including severe sunburn. Hay from ditches should not be fed to horses, cattle, and sheep. If you suspect toxicity, remove the source, and move the animals to a shady location as soon as possible. 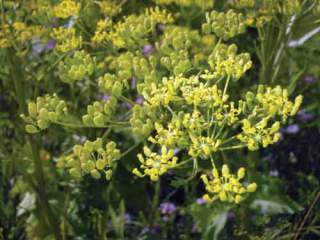 For more information on the wild parsnip visit the University of Minnesota research summary on this plant. Poison hemlock: image via theequinest.com Another member of the carrot family, poison hemlock is deceptively attractive, at least to humans. Like wild parsnip, the flowers have an umbrella shape and are found in clusters; however, the flowers are white, and the leaves also grow in umbrella shapes. The poison hemlock likes moisture and can grow to 10 feet in the right conditions. Most notably is its distinct unpleasant odor, which usually prevents consumption by animals, but if surrounding waters or hay are contaminated, they would be alternative sources of the poison. 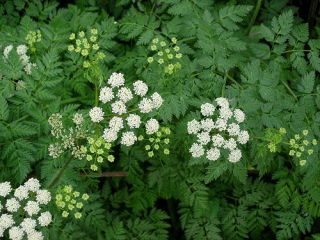 Of the three horse and livestock poisonous plants mentioned in this column, the poison hemlock is the most difficult to treat. Signs of poisoning include dilated pupils, weakness, and staggering. Within three hours of ingestion, respiratory paralysis will occur. Find further information on this plant and several other plants poisonous to horses, visit Poisonous Plants at the Ohio State University extension center. Sources are linked above. In addition, the article Watch for Poisonous Weeds in Hay published in TheHorse.com served as a springboard for the article.